The Organise My House Printable diary pages for 2019 are here! They really are perfect for adding to your planner and getting next year organised in plenty of time. 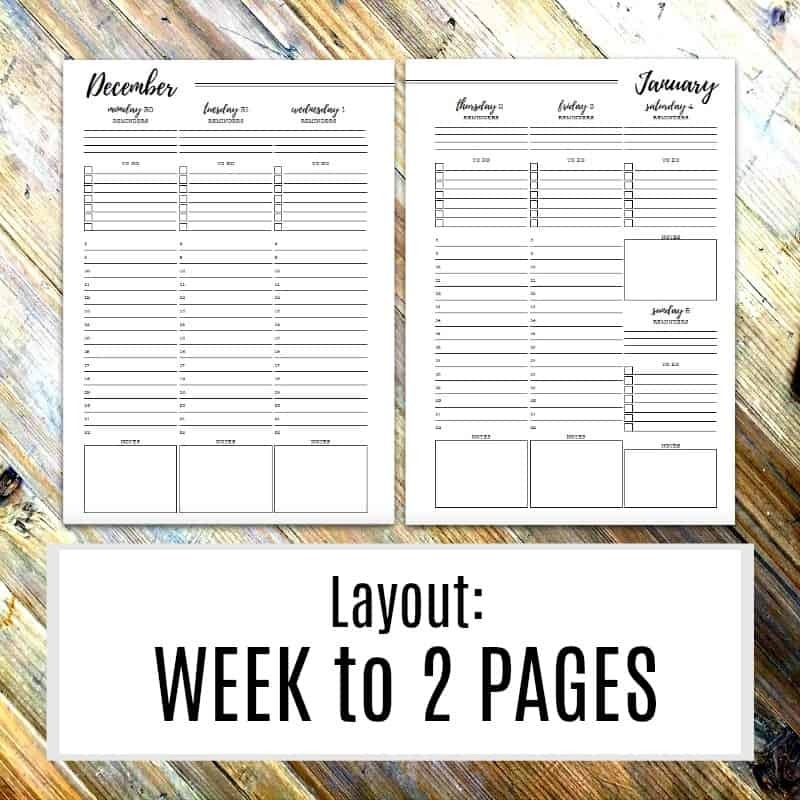 Find out all you need to know about this printable planner below, and I hope they help you get 2019 sorted! I always get so excited about my new diary each year because it’s always nice to have fresh, clean pages ready to start anew – don’t you think? It’s a bit like the start of a new school year. And today I’m so pleased to announce that I’ve finished creating the brand new 2019 version and I can’t wait to share it with you here. It’s always nice to see what you’re getting when it comes to printable diary pages for your planner – especially when it’s a digital download – so I’ve put together this post to help you see all the loveliness that’s in it! This is a personal favourite layout that I feel works best for easy planning. 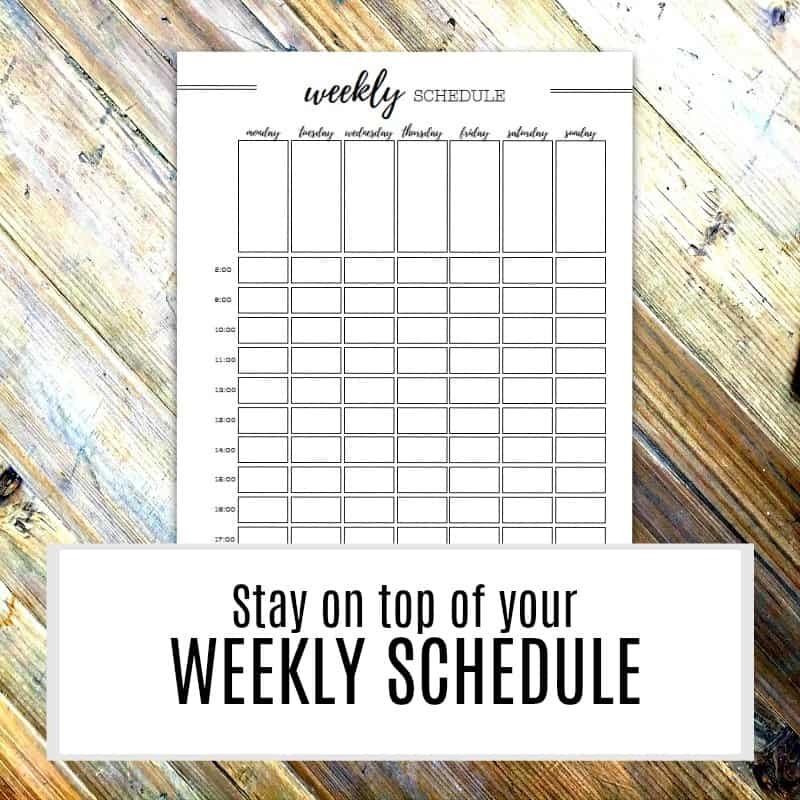 We tend to work in weeks when we plan, and so it’s easy to glance at a week at a time, and skim through weeks quickly when planning far in advance. Scheduled items – Times are written down the side of each day, so if you are fan of time blocking, it’s easy and quick to do – or if you just want an accurate view of what you’re doing and when – it’s perfect. I love using this format because I can clearly see how busy I am each week. TIP – Block out time for travel and prep for appointments as well, because this will help give you a REAL perspective on what time you have available. Reminders – I use this for things like Birthdays, Anniversaries, School dates etc…. TO DO’s – The things that really HAVE to be done on that specific day. Usually I fill this in on a Sunday for the week ahead (using my Master TO DO list), and ad hoc if there are specific things that need doing on a certain day like calling someone or booking something etc…. Notes – because we all need a space for random stuff! You could use this for meal planning, general note taking, tracking fitness, or any number of other bits and pieces. There’s literally everything you need to run your day all in one place. One of my favourite parts of the diary is the 4 page year planner. It has enough space to track all sorts of things – I use for holidays and school dates, but you could equally use for birthdays and similar things. The beauty is that it’s blank and ready for you to use as YOU need. The weekly schedule in the diary is so useful because you can see what your week looks like at a glance. I print off a few of these usually, and the trick is to only add in what’s specific to YOU. You can only be in one place at a time – so you can clearly see how your week looks, and tweak as necessary. There is also a place for meal planning and chores – so you know what’s got to be done on any day. I like to add these because it’s often the part that we miss when planning our time – and that’s where we find that we are just too busy each day to feel like we’re getting things done. 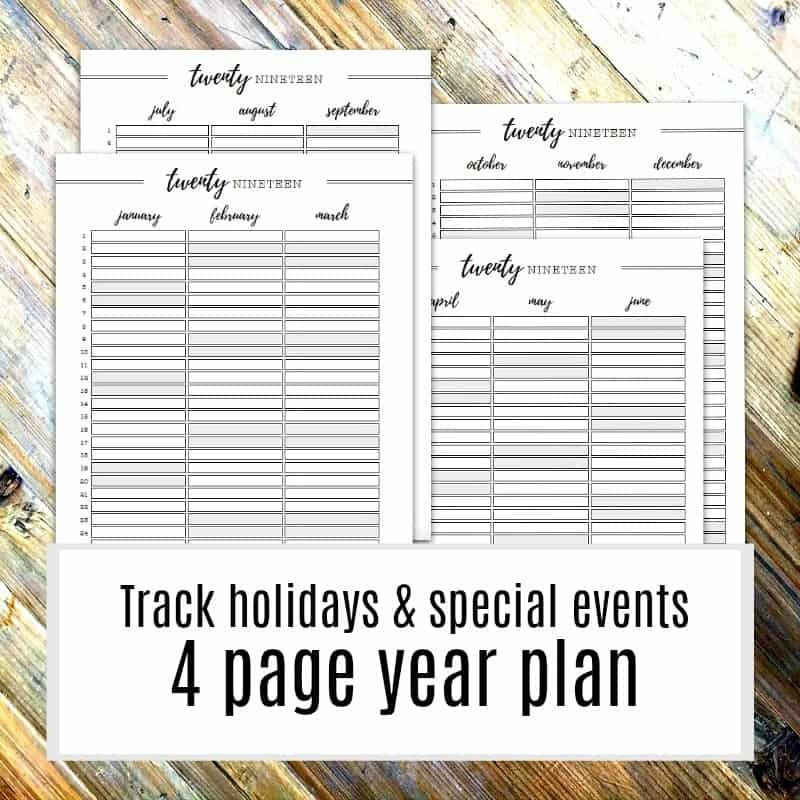 I have included two year to a page calendars, one for 2019 and one for 2020 – so you can circle important dates etc… (I use this for tracking school holidays mostly). 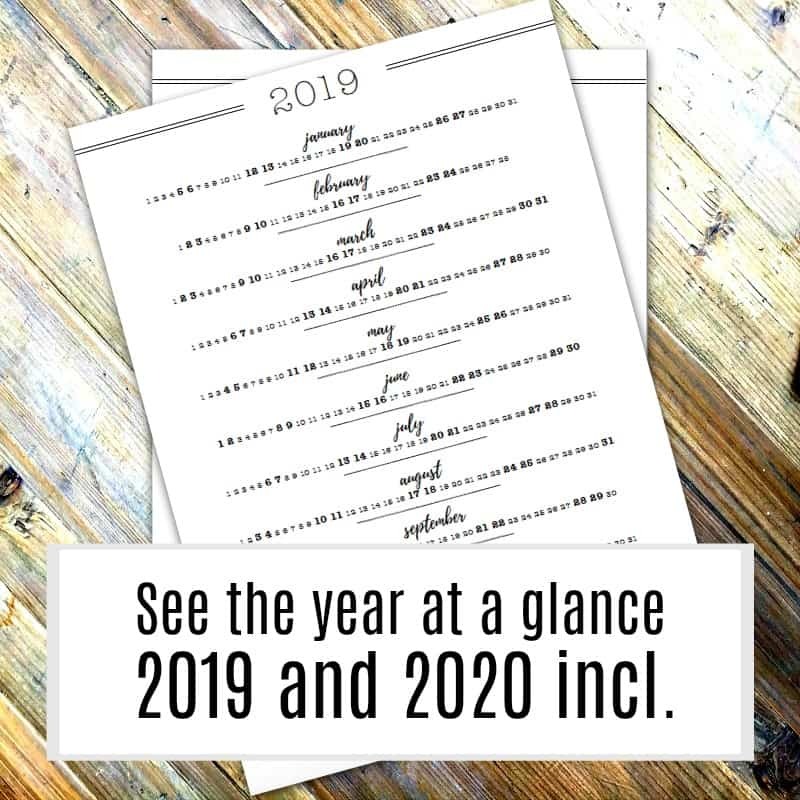 There is a nod to 2020 at the end of the planner – with a page dedicated to writing down any dates that you will need to add to your 2020 diary. I use this for any appointments that I make that carry over to the next year – such as dentists, car servicing etc… – and it makes starting next years planner SO easy! 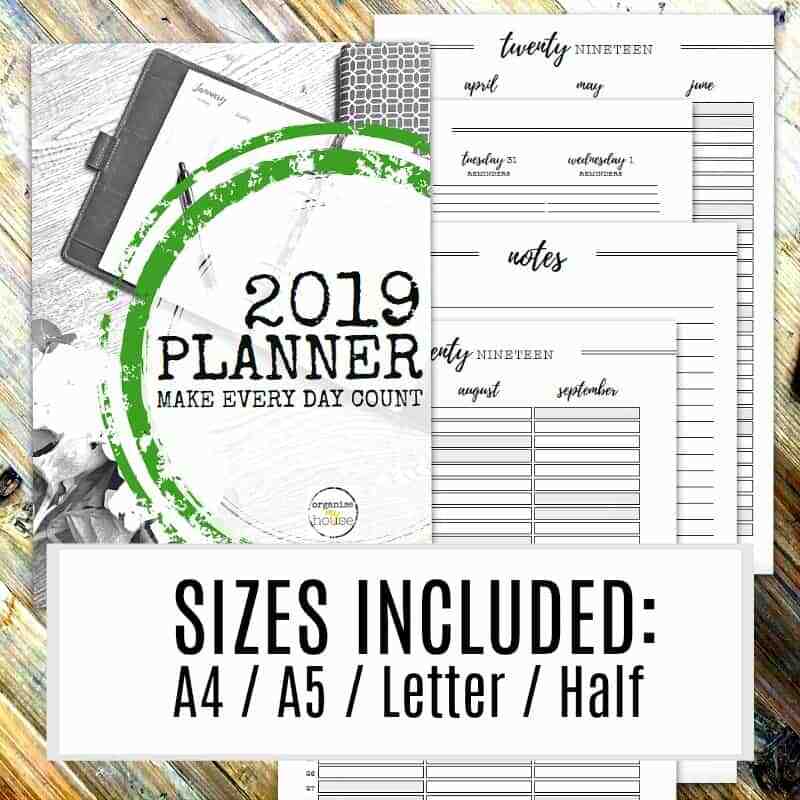 Lastly – I’ve got readers all over the world, and we all have different needs in terms of the size of planner that we prefer to use – so I’ve been busy and created 4 versions so you can pick the size that works best for you. So – there you have it – the 2019 Printable Diary Pages for your planner – ready for you to use now! With week to 2 pages, calendars, notes, things to add to next years diary, year tracker, AND a weekly schedule, there’s nothing else that you need to make sure your year is organised and sorted well ahead of time. Ready to sort 2019? Get your copy HERE – and I can’t wait to see what you think!